A melodic rock song featuring both slide guitar and harpsichord… Who would do such a thing? Norwegian songwriter Lasse Myrvold and his cohorts in Kong Klang would. And it works. This kind of inventiveness is the norm on this excellent album that was originally released in 1999. The story behind its reissue is a sad one, however. Myrvold was a well-known figure in Norwegian pop in the 80s, leading such New Wave bands as The Aller Værste, Stilleben, Göbbels A-Go-Go, and The Beste. By the end of the 80s, he decided to take a break from the music business, then put Kong Klang together a few years later. They finally released this album in 1999, but it appears to have generated little attention at the time. Then Myrvold was diagnosed with cancer, and his 2006 death prompted fellow Norwegian musicians to produce a tribute album covering his songs. Over the years, the Kong Klang record attained a kind of cult status, prompting this new release, which contains a number of bonus tracks that were recorded in the same sessions but not included on the original album. 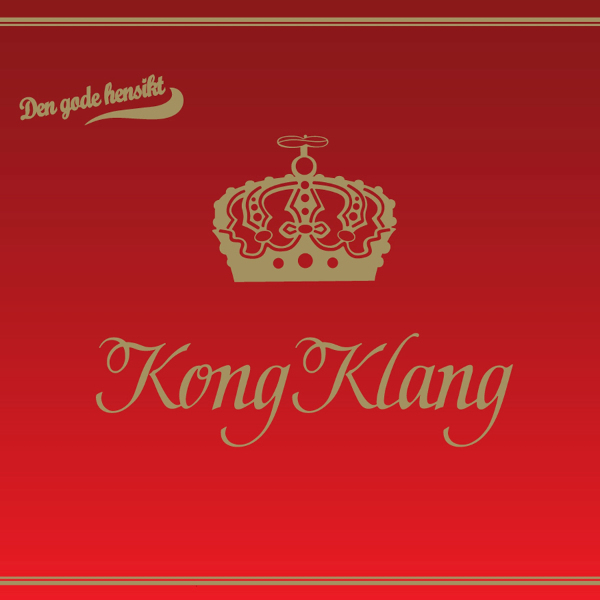 For readers outside of Norway, I would give musical comparisons to respected songwriters like Paul Kelly, Elvis Costello, and Neil Finn, though Kong Klang exhibits more stylistic variety on a single album than any of them ever has. In this respect I’m reminded of Ramona Falls — not exactly a widely known reference, I’ll admit. As for the individual songs, I don’t know where to start. Although I understand none of the lyrics, between the great melodies and Myrvold’s emotive singing and the clever arrangements, every song is a winner. And the bonus tracks are excellent as well — if Myrvold had lived (and a label like Apollon had existed to take interest) this band could have easily continued to produce great albums. But the past has passed, and this is what we’ve got: 75 minutes of wonderful music and speculation about what might have been.